“I Want To Go Home”. Heartbreaking and frustrating, but it’s not your fault. More than 60% of those with Alzheimer’s will wander, and if they are not found within 24 hours, up to half will suffer serious injury or death. People living with Alzheimer’s or a related disorder may become confused and lost, even in their own neighborhood or places that are familiar to them. 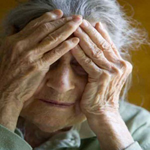 Confused, frustrated and sometimes angry, people with Alzheimer’s who wander are often unable or unwilling to ask for help, leaving them vulnerable to weather, traffic and those who prey on the less fortunate. While there are several primary reasons for wandering, the most frequently heard and most heartbreaking to a family caregiver is “I Want To Go Home”. - This is your home Mom, our home, what more can I do to make you happy?" Mom or dad may not feel at home, yearning perhaps for the home of their childhood, or the last place they felt comfortable, safe and in control. Often they just wander throughout the house, but for people living with Alzheimer's, confusion and anger can signal an “elopement risk” because they will often take extreme measures to get to where they think they belong, even if that place is an illusion or fragment of a memory from long ago. Their inability to recognize their current home. A need to go to their childhood home where they were happy. An overwhelming desire to return to a happier place at a happier time of life. As a caregiver, especially the child of a parent stricken with dementia, you must realize that this is not your fault! Mom is most likely longing for a time that remains fresh and understandable in her mind. A time when she was safe and secure and knew every one's name and face. A time when Dad was alive and kept her safe. A time when she was happy. Make your mission to make Mom feel safe and secure and feel at home. Put your arm around her shoulders and tell her how wonderful the place she lives is, and in what a safe place she lives, and how lucky we are to live here. When Dad says he wants to go home respond directly, and say, “I don't want you to go anywhere, I want you to stay here with me, it's you and me now.” Do this every day to reinforce him. It takes a while to imprint something into the mind of a person living with dementia. You have to keep trying and be patient. Learn to spot the risks for Wandering. Move around and exercise to reduce anxiety, agitation and restlessness. Avoid busy places that are confusing and can cause disorientation, such as shopping centers and grocery markets. Keep the day structured: Carry out daily activities, such as folding laundry or preparing dinner, to keep a daily routine she can imprint to again and again. Reassure her if she if she feels lost, abandoned or disoriented. Place deadbolts either high or low on exterior doors. Control access to house keys. 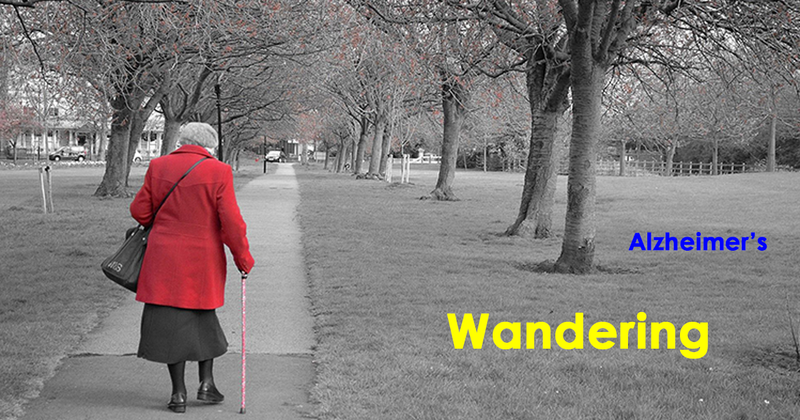 Don’t leave car keys available, a person with dementia may not just wander on foot. Quickly search the vicinity of where the person was last seen. Check for car keys, luggage, or other items that may indicate where the person may have gone. Contact the police immediately – Mom is in IMMEDIATE DANGER! Alert friends and neighbors to the situation. Have someone stay at home in case she returns. Learn more about Alzheimer's caring at Alzheimer's Association. For Home Care options and respite care visit BrightStar Care or call us at (561) 921-0550. Caring for seniors with Alzheimer's, and providing respite care for home caregivers in Boca Raton, Delray Beach and Boynton Beach Florida. What Can You Expect a Senior Community Center to Offer? How Can You Talk to Your Senior about Aging?